Notify me as soon as the item is available. 90 cm size is currently out of stock. we will notify you when it is available. 95 cm size is currently out of stock. 105 cm size is currently out of stock. 115 cm size is currently out of stock. 120 cm size is currently out of stock. Hurry, only 1 left in stock! Classic leather belt in brown with Bavarian seal. This traditional belt in dark-brown leather features the Bavarian coat of arms displayed front and centre, in true Trachten spirit. 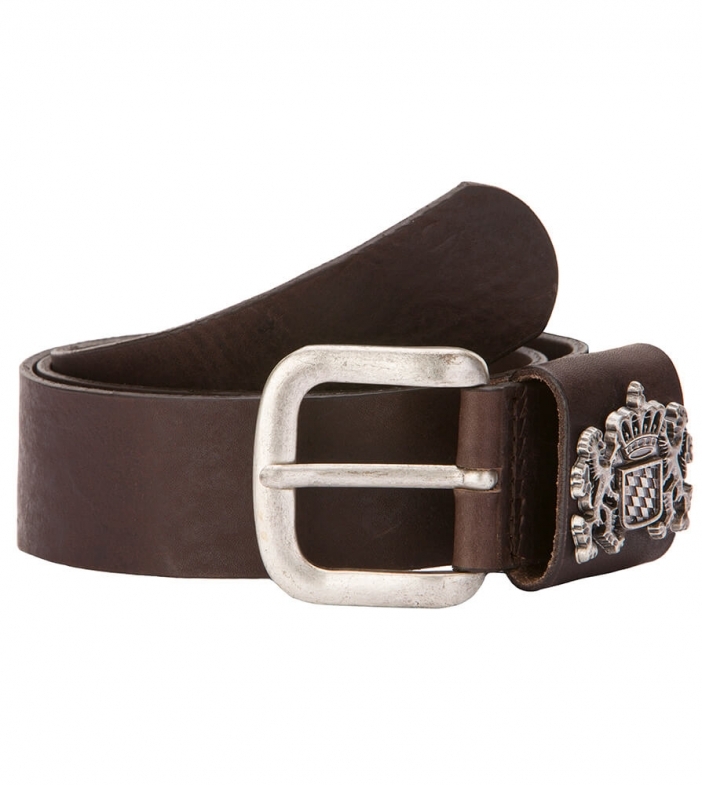 Accented with a silver buckle and embellished with a pewter checked shield flanked by crowned lions, the belt is a fantastic finishing touch that complements a fashionable Trachten nostalgic's outfit handsomely. immediately - order within the next x hour(s) x Min. for a Thursday dispatch. * All prices include VAT. Shipment will be charged at extra cost, unless otherwise stated.